Editor’s note: This is a sponsored article, which means it’s independently edited by our editorial team but financially supported by another organisation, in this case, Shell. If you would like to learn more about sponsored posts on Tech.eu, read this and contact us if you’re interested in partnering with us. The global transition to a more sustainable energy system can’t happen fast enough, and startups working in the industry are playing a key role in the evolution toward this goal. Ten of the best young businesses working to create positive change in the energy world came together last month to compete in the New Energy Challenge, organised by energy giant Shell in partnership with Rockstart and YES!Delft, the two leading accelerator programmes in the Netherlands. The challenge offered the startups not only a podium to share their ideas. 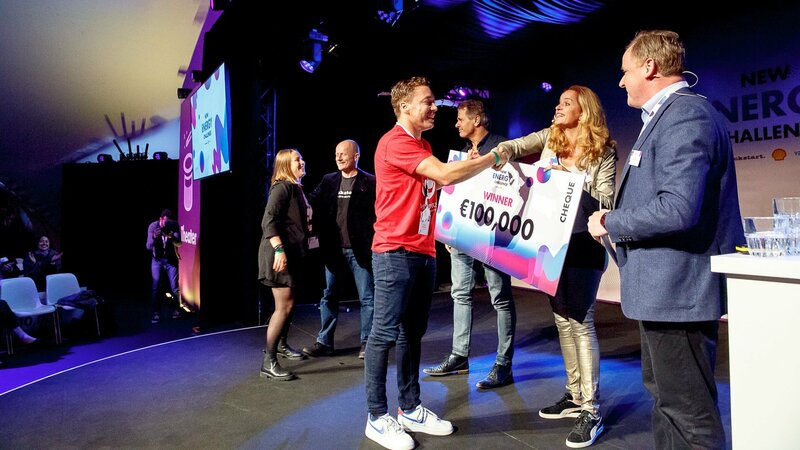 The winner also received a €100,000 grant and business support from Shell, while two runners-up got €10,000 each together with mentoring and spots in bespoke accelerator programmes from YES!Delft and Rockstart. Finalists spent the last stage of the competition – Booster Week – together in the Netherlands receiving coaching and advice from Shell and expert mentors. This gave them the opportunity to test and validate their business proposals. Teams from the top 10 also had the opportunity to meet each other, exchange ideas and inspiration, and take part in intensive training programs designed to help them sharpen skills and provide insights critical necessary for commercial success. At first glance, Shell might not seem like the most obvious champion of the energy transition. The company, however, has expressed a strong commitment to the United Nations’ Sustainable Development Goals. In addition to the New Energy Challenge and other initiatives, Shell recently announced that it is investing €200 million in a new campus for its expanded New Energies division, which was set up in 2016 to focus on new fuels and power. Ten teams from across Europe gathered in the Netherlands for the final: Asperitas (the Netherlands), eCarUp (Switzerland), Elemize (Italy), Eliq (Sweden), Enapter (Germany), Finrenes (Finland), Lancey (France), Orxa Grid (UK), Sylfen (France), and Teraloop (Finland). While the main prize of the challenge – the cash grant of €100,000 – provided participants with the incentive to do their best, it was clear that for all of the startups the opportunity to connect with Shell in order to draw on its experience and to tap into its network was the most important reasons for taking part in the New Energy Challenge. At the finals event during the Generation Discover festival in The Hague, each of the top ten had the opportunity to make one final pitch before the jury and members of the public, which included important actors from government, business and other segments of society who are helping to drive the energy transition. In the end, it was the Haarlem-based “immersion computing” startup Asperitas that took first place while Lancey Energy Storage and Enapter, a hydrogen technology startup, were named the runners-up. 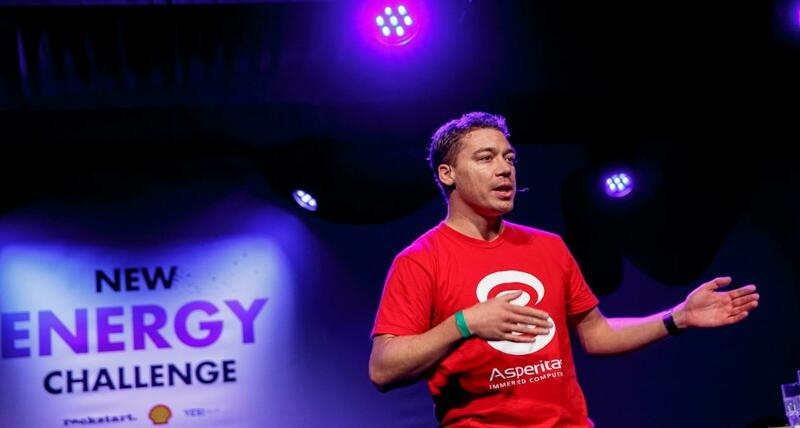 Founded in the Netherlands in 2014, Asperitas is working toward cutting the energy consumption of data centres in half through its “immersion computing” technology. This is can be achieved by means of a next-generation liquid cooling system developed by the company that uses mineral oil as the cooling agent. Asperitas has also successfully improved cooling physics compared to the existing solutions and integrated power and network components. The first runner-up, Lancey Energy Storage from France, produces technology based on the clever idea of combining an electric radiator with a battery. The startup’s goal is to fight the “fuel poverty” – highlighting that 20 percent of European citizens can’t afford to heat their homes. The solution Lancey offers is a smart radiator with a storage battery charges during off-peak hours when electricity prices are lower. Lancey has already sold 750 units and its official retail launch is planned for 2019. The radiator is expected to cost €600, with the first battery free of charge to the consumer — at least initially. Lancey is also planning to include grid demand-response features in the product that would improve stability and efficiency, making its own business model more sustainable. The other runner-up, German Enapter, is working on a scalable, high-capacity hydrogen storage and production solution. It produces electrolysers that split water into hydrogen and oxygen without the need for noble metals, making them more sustainable and affordable. Enapter says its product is a good solution for energy production and storage for remote, off-grid areas. At the end of the day, the real benefit of the New Energy Challenge is not in the prizes. It’s in the opportunity to bring together the best and the brightest minds working on the energy transition. Collaboration between startups, entrepreneurs, and businesses such as Shell New Energies is essential to accelerate a true transition to a new energy mix. It is clear that in the coming decades the world will need more and cleaner energy to meet growing demand. Realising this will require the full commitment, innovation, and ingenuity of multiple actors.